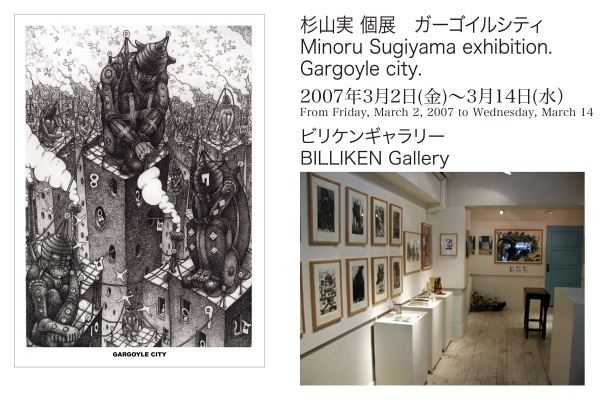 Mr. Minoru Sugiyama was born in 1973 in Tokyo (Japan) where he lives, with his wife and 3 children, and work. 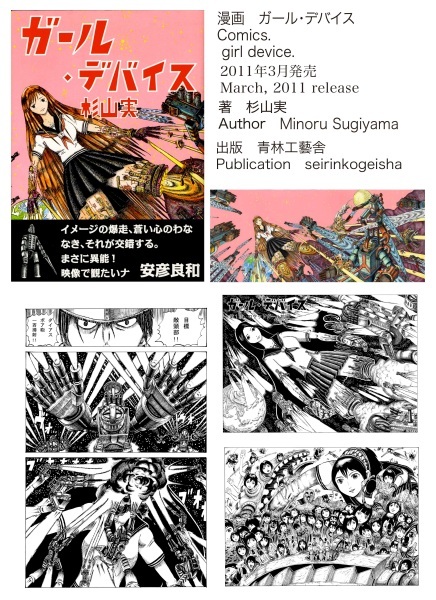 Since young, he developed a strong interest for manga and knew he wanted to become an artist. He graduated from the prestigious Tama Art University (near Tokyo) in 2000. There, he focused on etching, characters designing and fine arts. After graduating, he followed his passion and became, ever since, a full time artist. 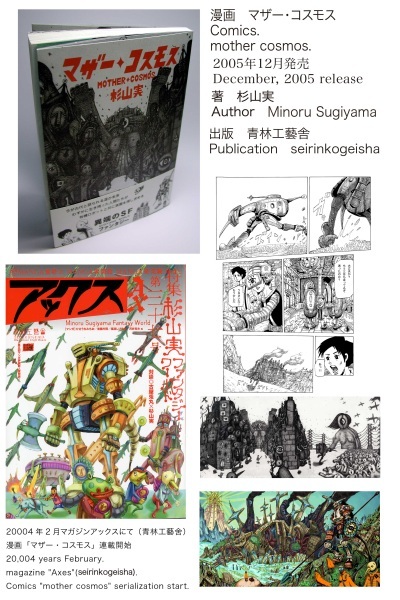 Mr. Sugiyama has a passion for Japanese manga culture which he is inspired by. His aesthetic strikes the viewers with its diversity and the depths of its narrative elements. Moreover, what makes his work really unique is the very personal analysis of society he adds to it. His world blends similarities to George Orwell’s famous book “1984” with an absurd and humorous touch close to Buster Keaton’s movies and the work of French artist Roland Topor. He is very active in fine arts: installations, paintings, drawings, etchings, sculptures… He is also the author of 2 manga published in Japan in 2005 and 2011 by Seirinkogeisha and he is strongly involved in animation movies: he created the popular character “Soft cream”. 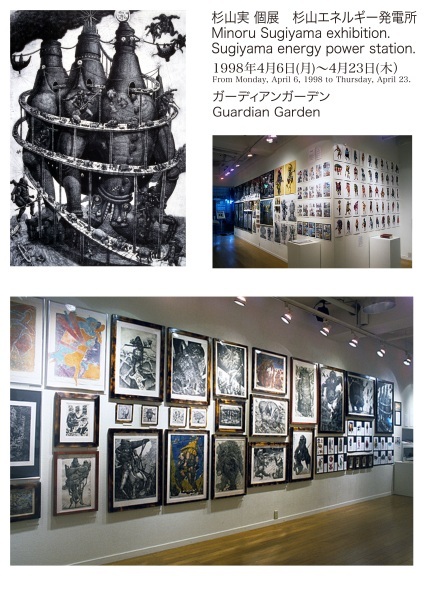 He works closely with famous Japanese kaiju producer Monstock!! on various amazing soft vinyl sculptures. For some of them, he writes stories that linked them to his other artworks. He was awarded numerous prizes for his creativity and the quality of his work. 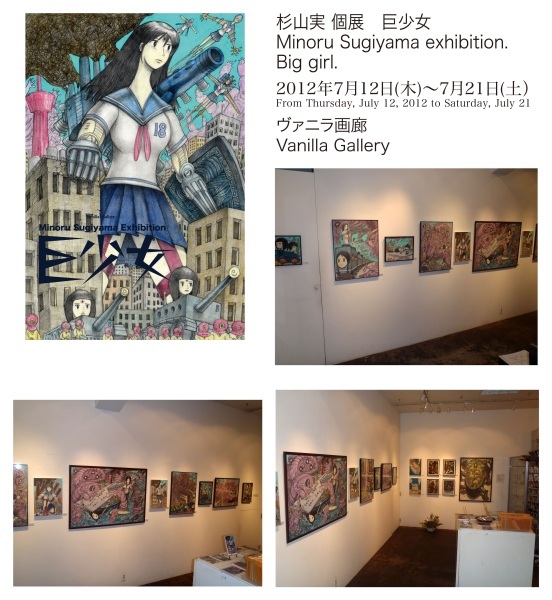 Click here to view Minoru Sugiyama’s available artworks.